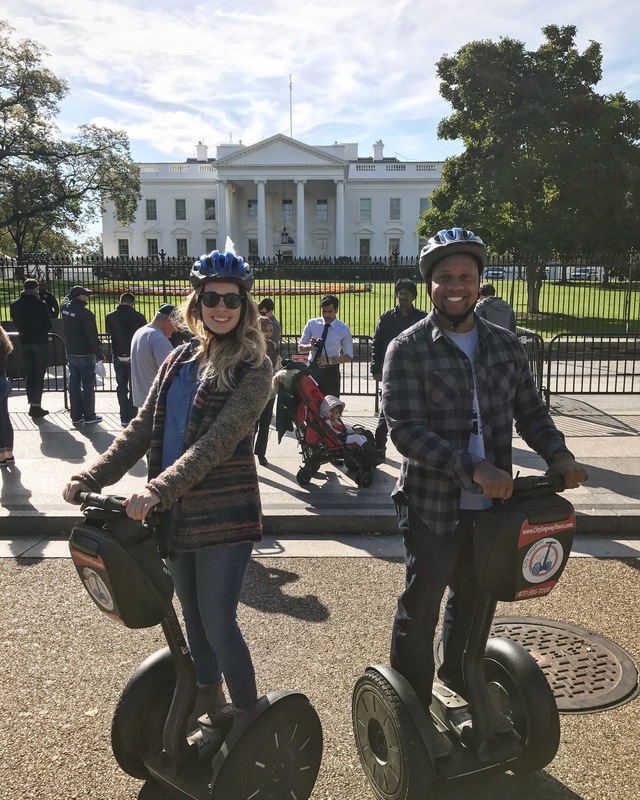 Thanks to a friend of ours who hooked us up, we were able to get this segway tour for FREE! And thank goodness because this three-hour tour of DC is $75 per person. You can imagine my gratitude. 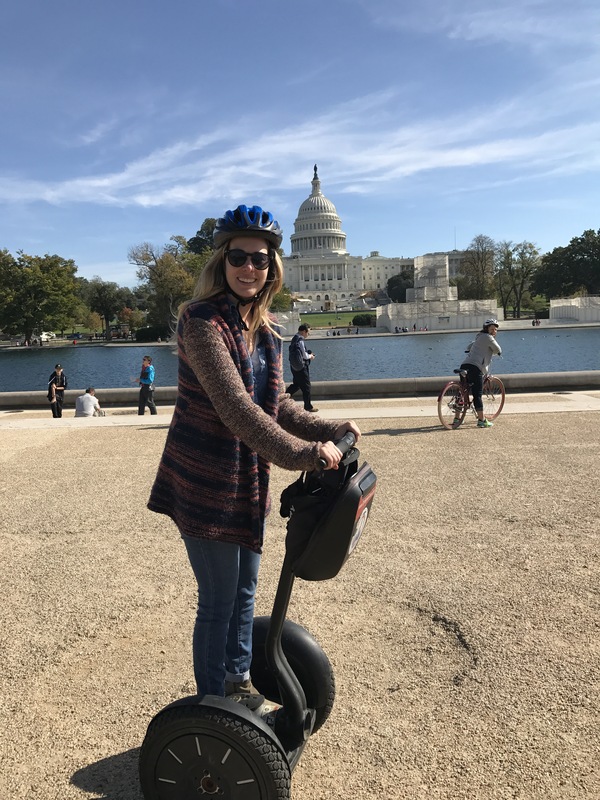 Spending most of my time in DC during the work week, this tour didn’t take us to any location we hadn’t already been, but given my desire to simply get on a segway, I’m happy! Plus, what a beautiful fall day! Here I am stepping on for the first time, focused and concerned about falling. Aside from the fact that you look like a big dweeb, segways are pretty awesome. Lean forward and you go forward, lean back and you go backward. You are very sturdy, but you just have to get used to it. In front of the Old Executive Building, which Mark Twain described as the ugliest building in America. Picking up some speed on our way to the Capitol Building. They’re already starting to set up for the inauguration. I felt the need to keep my helmet on during breaks for some reason. Onto the Washington Monument! I pass it twice a day and still takes my breath away. 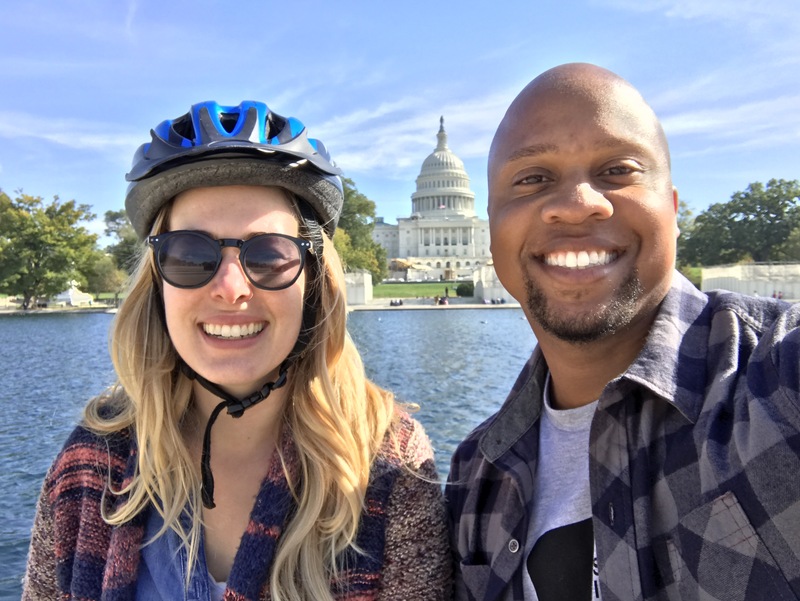 This tour is kind of perfect for someone visiting DC for the first time, who only has a day to explore. You cover a good couple of miles in a relatively short period of time, you see the must-see monuments, and get to enjoy interested commentary from the guide. I had a great time!